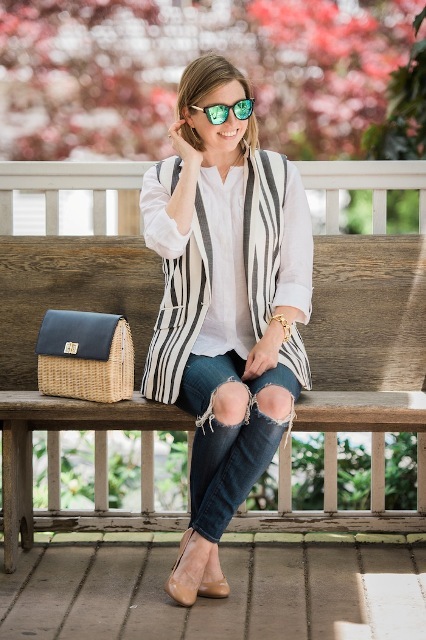 In my opinion, a vest is a must-have piece of clothes for en early spring when it isn’t so cold and so warm at the same time. All you need is to pick up a perfect vest for you depending on other items, style or just wishes. That’s why we offer you various vest ideas and ways how you can combine them with other clothes and accessories. 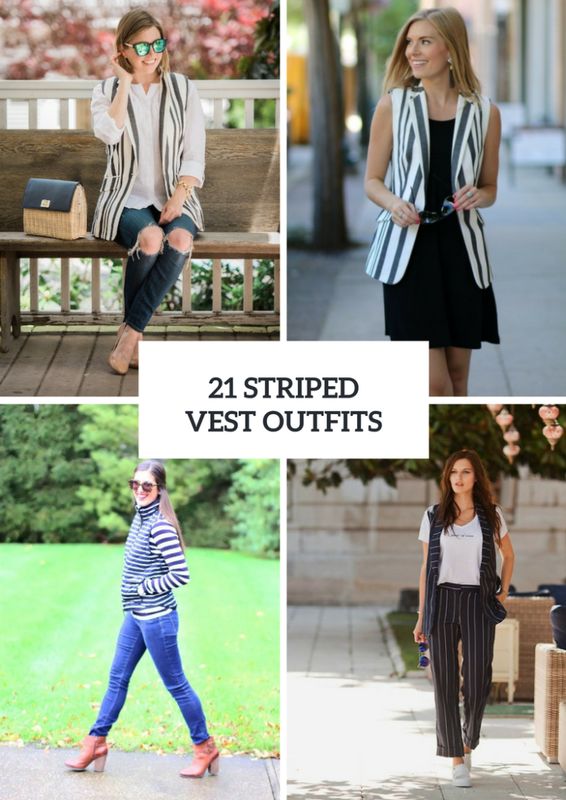 So today let’s consider stylish and eye-catching looks with striped vests. 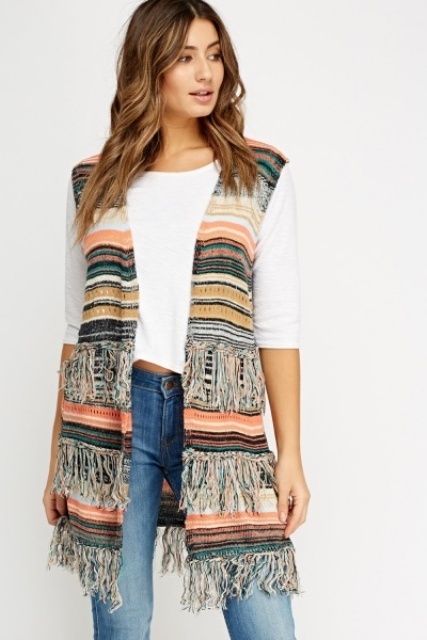 As usual don’t limit yourself in choice of vest types, for example, you can take a puffer, waterfall, classic or loose one or choose one among vests with various lengths (crop, knee-length or even maxi ones). So now let’s scroll down to see all ideas. 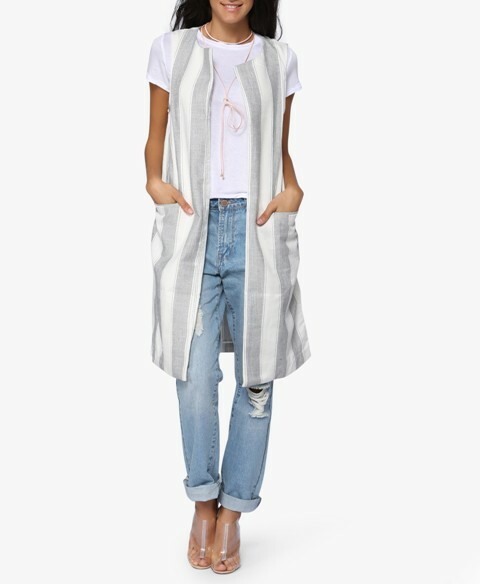 If you prefer long vests, then take cuffed skinny jeans and combine them with a top, a long pastel colored striped vest with pockets, sunglasses and beige pumps. 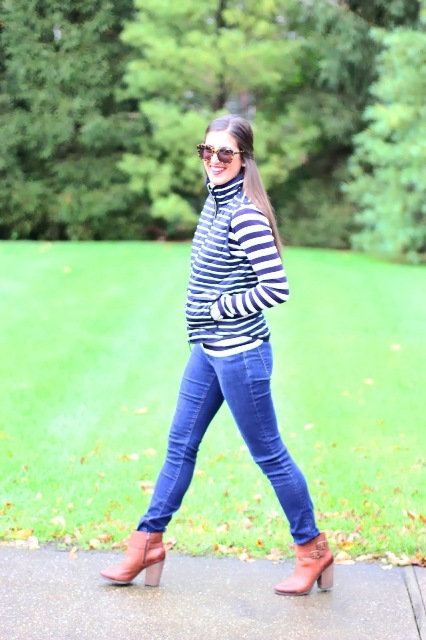 For more elegant and official outfits you should choose a white button down shirt and pair it with a dark colored straight jeans, beige high heels, a navy blue vest with white stripes and a red leather tote. 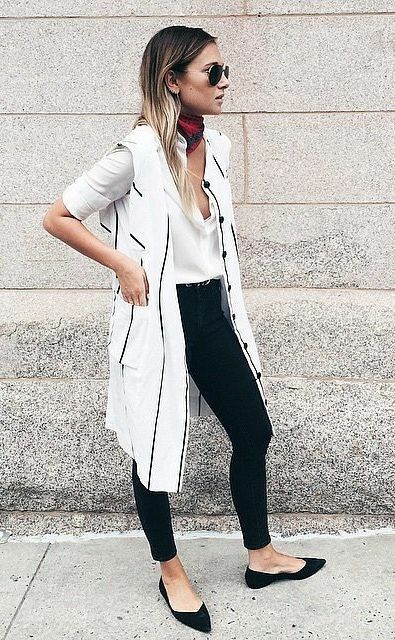 To create a stylish casual outfit you should mix a white crop t-shirt with a striped long vest, wide-leg trousers, white platform sneakers and sunglasses. 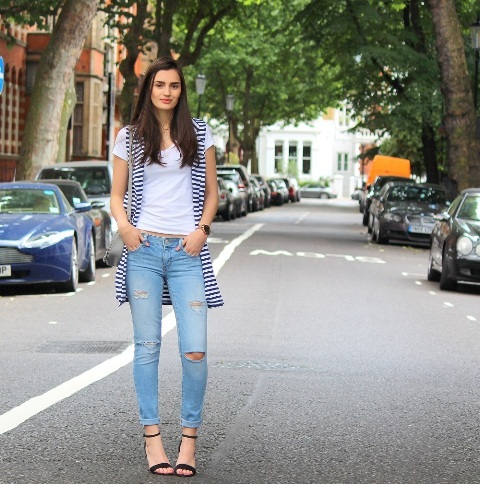 Or you can repeat an outfit with a knee-length vest, a white loose blouse, black skinny trousers and black suede flats. 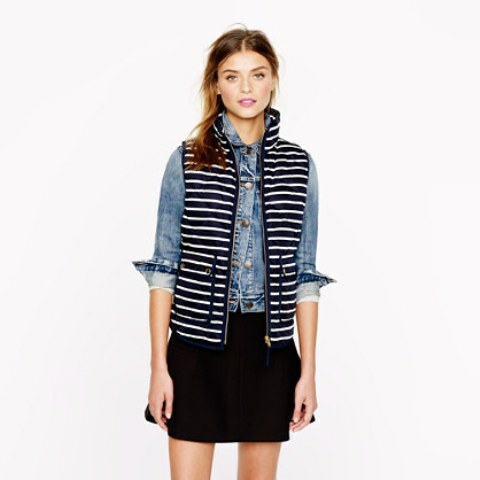 Don’t forget about shorts: you can combine a black top with black and gray striped high-waisted shorts and a vest. 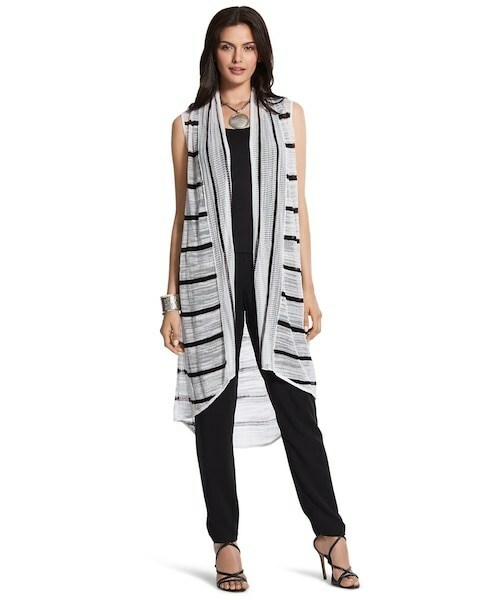 For those who wanna look feminine and gorgeous I offer to pay an attention to a striped maxi vest, just add a classic black mini dress, black cutout heels and a clutch to it, and you’ll get a fabulous look. Wanna something girlish? Then pair a white lace dress with a crochet striped waterfall vest and beige sandals.